Just about every motorhead I’ve met has at least a few car-oriented tees. 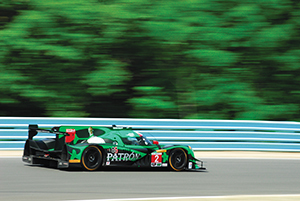 Whether it’s allegiance to a marque or racing team, we find it necessary to show our colors. Brands are good, funny even better. If you are not familiar with Shot Dead in the Head, please forgive the site name. Regardless, they have a wonderful mix of shirts for every interest. Most of the designs on the shirts are also available as coffee mugs as well. 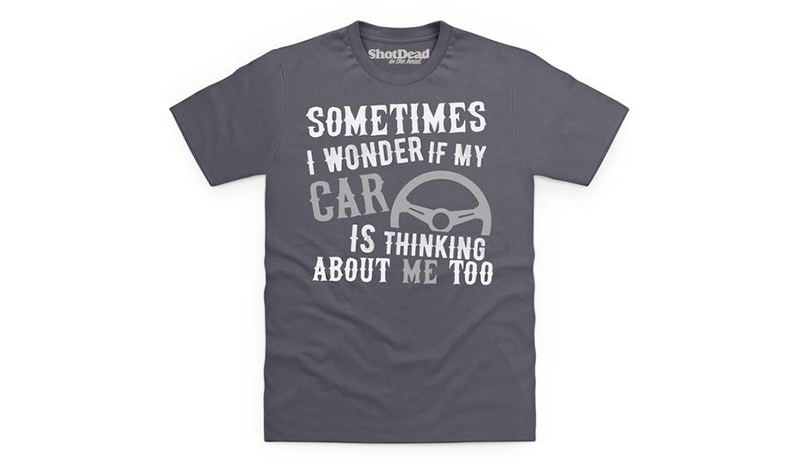 When not at a car event, you can show your sentiments to your family first thing in the morning. Express your love for your own car brand with a marque tee. Porsche features heavily at this site. 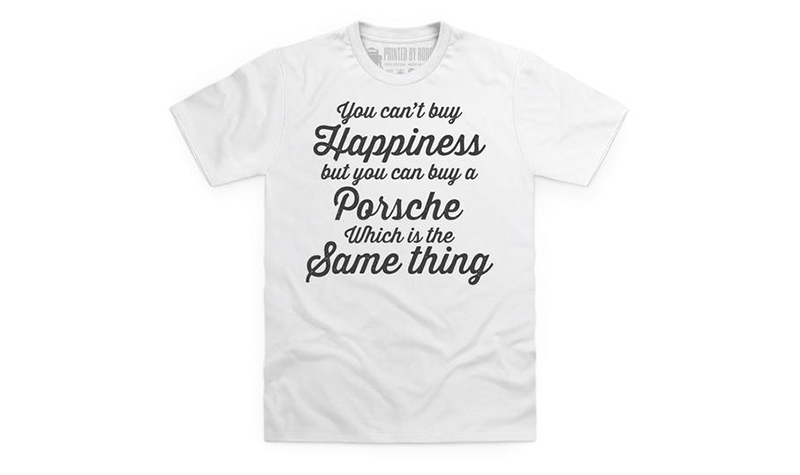 That makes sense because Porsche owners revel in their marque history almost to a person. Porsche has taken their very first car design and developed it endlessly into one of the finest and fastest everyday drivers anywhere. Porsche’s racing history just burnishes their appreciation of the marque. Here again Porsche is a featured marque, as is BMW. 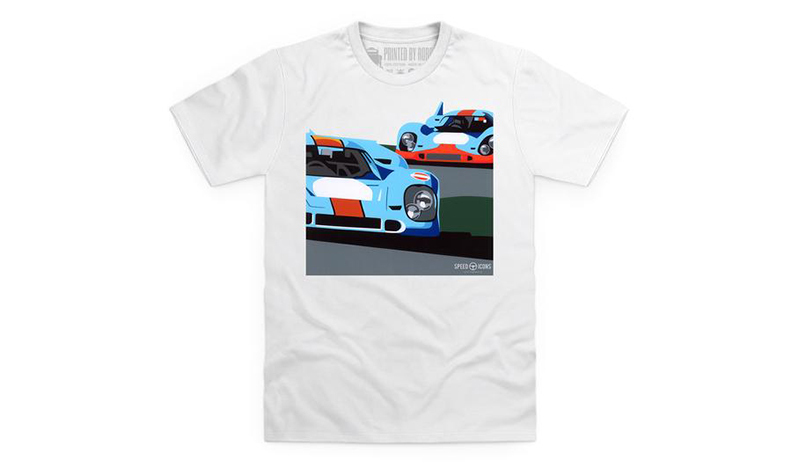 Both are marques heavily steeped in their racing history. Anyone who doubts this must only look to Porsche as the leader in all-time wins at LeMans. BMW has competed at LeMans as well, winning overall in 1999. 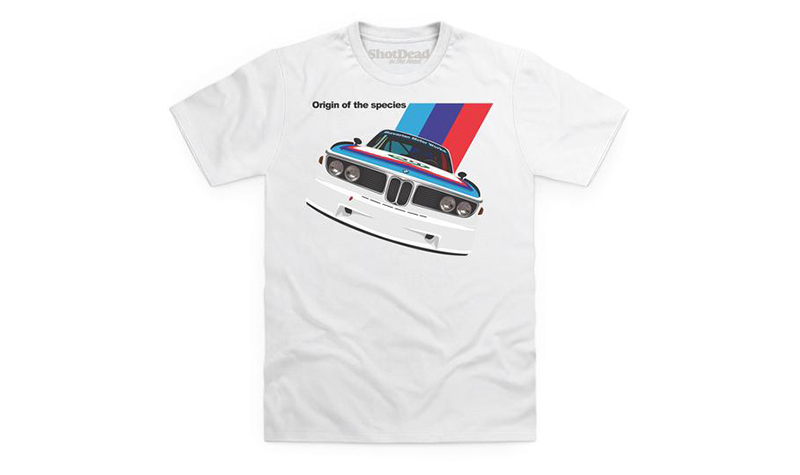 They’ve also competed in Formula One successfully with Brabham and Williams, though BMW has preferred to feature their consumer line with the more identifiable touring car series’. The 3.0 CSL still stands out as the defining touring car for BMW. The “Batmobile” made bewinged street cars all the rage for years to come, and still to this day. Think of all those track days cars being sold straight from the factory today. 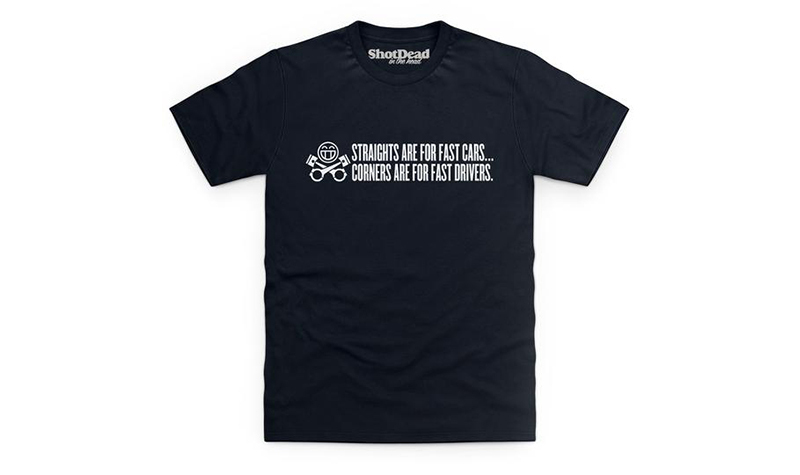 Below you’ll find a small selection of the motorhead shirts available from Shot Dead in the Head. You really need to go to the site for the full depth of selection. You most definitely will veer off into several of the other categories. If you don’t break out laughing at least once, you may want to check your pulse to see if you’re still alive. For more great gift ideas, click here.